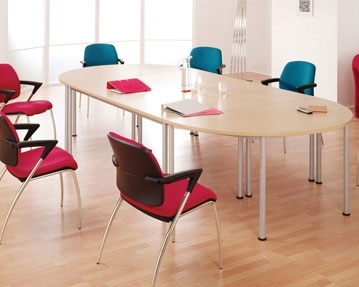 We offer an eclectic range of fixed leg tables that are ideal for offices, meeting rooms, training venues, boardrooms and a variety of other environments. You can take your pick from shapes including rectangular, circular, semi-circular and trapezoidal, giving you flexible solutions that meet your precise requirements. 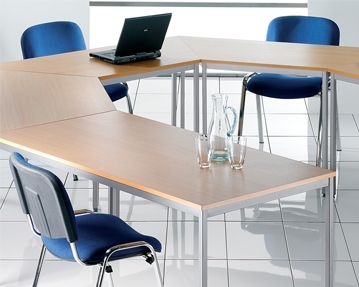 Whether you want standalone fixed leg tables or models you can use in combination, we should have exactly what you need. 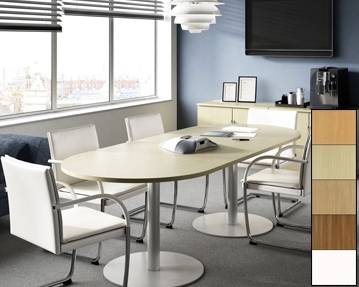 These robust furnishings are available in many different finishes too, including beech, oak and maple. You can also choose from silver or graphite legs. 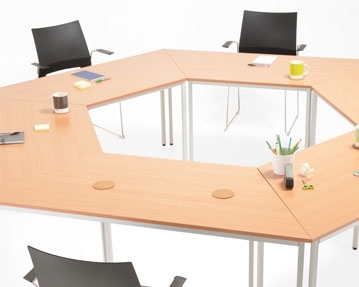 So, regardless of the look you’re trying to create in your workspace, you won’t struggle to find tables that suit. Choose from ranges including Pallas, Flexi, Origin, Guarda, Santiago and Everyday. Whichever designs you select, you can have full confidence that they have been designed and made to be sturdy and long-lasting. 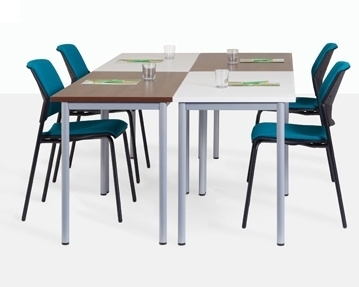 Our fixed leg tables are available with useful features such as height levelling feet and ABS impact resistant plastic edging for added protection. Have a question you’d like to ask about this range? Our specialists are standing by to answer your queries. You can reach us by phone or simply complete our online form and we’ll get back to you. 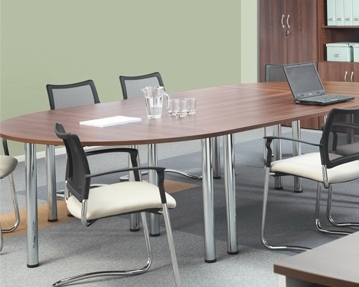 See our full range of office meeting room tables.